Home / Classical / Genre / Is Classical Music a Dying Art Form? 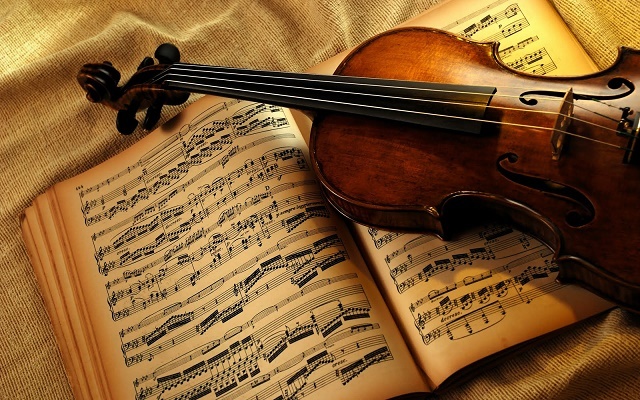 Is Classical Music a Dying Art Form? Imagine, for a minute, that it is evening time and you are about to head to a piano recital. Once there, you find your allocated seat. The room hushes as the pianist, wearing white tie and tails, enters the stage and heads towards the audience. With a gloomy expression, he casts a glance over the audience before sitting down, cracking his fingers, and launching into some sort of Beethoven sonata. People in the audience nod in approval, close their eyes and let the music flow over them. So far so good, although you may feel the night is a bit stiff and slightly presumptuous in its ‘poshness’. And therein lays the issue. It is this that is causing classical music to be the smallest musical industry in the world. It is for that reason that people believe there is no place in contemporary music for these types of events and concerts. Classical music, however, is not dead. In fact, it is seeing a brilliant revival that is leading to the classical becoming contemporary. This is something you can also experience at the Musicians Institute – Contemporary Music department. They will show you how there are musicians in this world, such as James Rhodes, who have found a way to update the beautiful sounds of classical music and make them more relevant in today’s society. Andre Rieux is another example of how classical music certainly has a place in today’s world. Classical music has transcendent Mozart and Bach. It no longer is something for the elite only. In fact, new classical music is contemporary and young people are drawn to it. Consider, for instance, modern classical composer Ludovico Einaudi. He uses very simple techniques and harmonics. Compared to the great composers of hundreds of years ago, his style can best be compared to something that is taught to young children. But that is incredibly important! It is through works like Einaudi’s that young people will continue to love the classical art form. It is his work that is making classical contemporary. Classical music isn’t snobby, nerdy or too posh for the everyday person. Rather, it is a form of music that is as much an art form like any other and one that has a clear place in our society. Being appreciative of music means being appreciative of all compositions, from Slayer’s death metal tracks to Joseph Haydn’s almost crazy compositions. Did you know, for instance, that many believe Haydn’s compositions have actually inspired modern jazz? Many people feel that classical music no longer has a place in today’s society. In reality, however, classical music needs to be seen as a style, just like rock, blues, jazz, country and pop. And any style can be modern and contemporary. The likes of Mozart, Back, Beethoven and others will always be geniuses whose work will continue to influence the world today, just as Einstein will always influence the world of science, even if smarter people now exist.